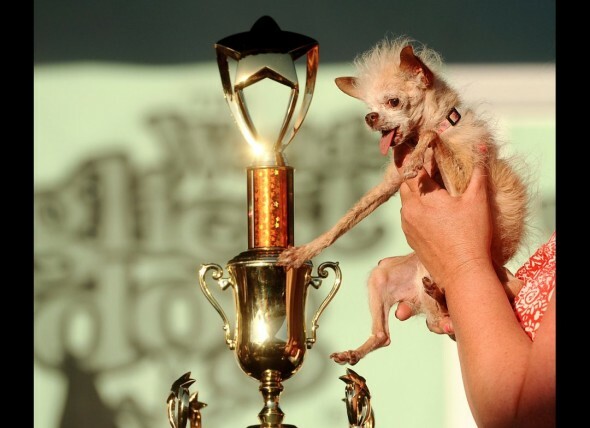 The 23rd Annual World’s Ugliest Dog contest took place this past weekend at the Sonoma Marin Fair. The winner was aptly named Yoda, and we expect that the prizes won’t include a modeling contract. Check out pics of the not so fair dog contestants at this fairground attraction. This entry was posted on Tuesday, June 28th, 2011 at 2:29 PM. It is filed under Blog. You can follow any responses to this entry through the RSS 2.0 feed. Generally I do not learn article on blogs, but I wish to say that this write-up very compelled me to try and do so! Your writing taste has been surprised me. Thank you, quite nice article. Hello there, just turned into alert to your blog thru Google, and located that it’s really informative. I’m gonna watch out for brussels. I will appreciate in case you proceed this in future. Many other folks can be benefited out of your writing. Cheers! Hi there,You have a nice Website. Will be back to check it out again soon. Till than have a great day!